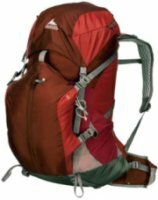 Gregory Baltoro 75 Pack - Gregory Baltoro 75 Pack Features. 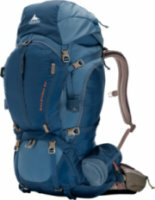 Gregory Baltoro 75 Pack. The Gregory Baltoro 75 Pack delivers spacious volume and an updated suspension to help you go farther, faster and lighter in comfort. Gregory has equipped the Baltoro 75 with the high-performance Response Auto Fit Suspension (AFS) system. AFS distributes weight evenly, providing superior load stability, comfort and range of motion. Other features include a canted, hideaway water bottle holder, dual mesh hipbelt pockets, gear loops and side, cross over and lower panel compression straps. 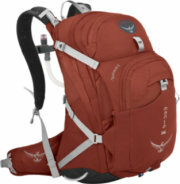 Osprey Stratos 24 - The Osprey Stratos 24 Pack is a fast and light panel-loading backpack ready for any adventure. It features a really awesome volume to organization ratio, with plenty of pockets but not too many, and enough space for all of your day hiking or bouldering gear. This durable, lightweight pack can double as a book bag for all those treks around campus, too. The AirSpeed suspension is sure to keep you cool and the air flowing wherever you take this pack. 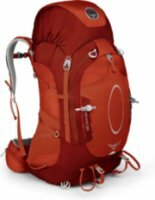 Osprey Exos 58 - The Osprey Exos 58 Backpack has space for your backpacking trips in summer and ice climbing trips in winter, and it`ll carry your gear without adding excess pack weight to your trip. A combination of the AirSpeed back panel and the light yet durable 6065 aluminum frame brings a lot of breathability by dumping excess heat out of the sides. ExoForm covers the shoulder pads and waist-belt with mesh and energy gel for the ideal blend of breathability and comfort while you hike. Osprey Atmos 65 - The perfect all around backpack, the Osprey Atmos 65 is good for light backpacking to week-long adventures. Durability through the roof with RipStop Cordura, a amazing LightWire Alloy Frame means you have a pack that moves and flexes with you. Best part about this pack? Osprey's AirSpeed suspension and a mesh backpanel to prevent any hot spots or sweat, meaning this is perfect for any season. Compression straps mean perfect distribution of weight empty or stuffed to the limit. 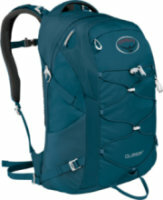 Osprey Talon 22 - "The Osprey Talon 22 is the ultimate festy pack. Not only does it have great stash pockets, but it also has a whistle built into the front clip! Who doesn't love a whistle? It can hold up to a 3L reservoir which is great for long hot days in the sunshine, and along with a separate reservoir sleeve, the pack can hold a light jacket, some munchies and your concert schedule. 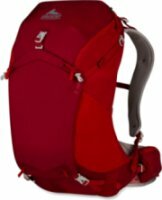 Gregory Baltoro 65 Pack - The Gregory Baltoro 65 is a great all-around backpacking backpack at the perfect size for most trips. If you are looking for a 65 liter backpack that can do it all, look no further than this Gregory Pack. We think that this is the size of choice for the majority of backpackers out there because it has the capacity for a 2-4 week trip, but will make you slim down your packing list because it won't carry the entire kitchen sink. The North Face Recon Pack - The North Face Recon Daypack for Women Features. 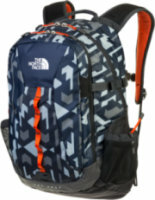 The North Face Recon Daypack for Women. 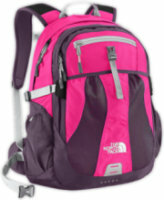 Have a great trip using The North Face Recon Daypack for Women. 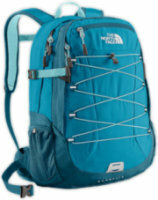 The North Face has designed this unique women specific comfortable daypack, for your trips or everyday use. Thanks to the atilon foam on this daypack, it provides additional support. This daypack comes with a PE sheet for extraback support and comfort. The reflective light loop makes it easy to see this product during the night. 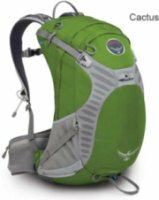 Osprey Manta 36 - Osprey decked out the Manta 36 Hydration Pack with all the thoughtful features that grace the rest of its Manta series and gave the pack a large 36-liter size for epic day hikes and super-light overnighters. Stuff all your needs and wants into its capacious main compartment and plentiful pockets, and marvel at how comfy and light your load feels with the AirSpeed suspension system and BioStretch harness. Tons of ventilation and padding reduce sticky sweat, and the hydration system with stabilizing HydraLock and magnetic valve holder keeps your whistle wet, so you can keep on trucking from sunup until sundown. The North Face Base Camp Hot Shot - The North Face Base Camp Hot Shot Waterproof Daypack Features. The North Face Base Camp Hot Shot Waterproof Daypack. The North Face Base Camp Hot Shot Waterproof Daypack is a versatile carry-on that you will really enjoy using on every outdoor trip. It's been constructed using a durable 1680D Ballistics nylon material, which ensures that your bag has a long-lasting life of good service. Its fabric is also designed with the waterproof Phthalate-free TPE laminate, so you are sure that whatever you store inside the bag, remains safe and dry, no matter where you are traveling to. Arc'teryx Altra 65 Backpack - The ideal backpack for the outdoor adventurer who wants to spend more than a weekend getting back to nature is the Altra 65 LT Backpack by Arcteryx. The ergonomic shape and C2 Composite construction system are essential for making the Arcteryx Altra 65 LT Backpack extremely comfortable to wear. This backpack comes with a twin 6005 T-6 extruded aluminum M-bar stays a double chamber and extendable top lid to aid in gear organization and provide easy access. Osprey Talon 33 - The Osprey Talon 33 Pack is a backcountry pack that provides the greatest hiking luxury ever: freedom from a poorly ventilated, sweaty back. The AirScape backpanel, molded ridge foam back, and air chimney are all integrated into this bag to provide optimized ventilation that will have you focused on the trail instead of the load you're carrying. The zippered map pocket makes sure your map is in easy reach, and this hydration compatible back will carry your water resevoir with ease. Gregory Z30 - Gregory Z 30 Pack Features. Gregory Z 30 Pack. The Gregory Z 30 Pack is a great addition to Gregory range of backpacks. This bag is perfect for carrying your stuff when you plan to go out on a camping trip. The CrossFlo DTS Suspension is the new load support system that takes the effort off your shoulders. The auto fit harness system perfectly on your body. A removable rain cover is provided in a zippered pocket so that none of your stuff gets wet in case of rain. 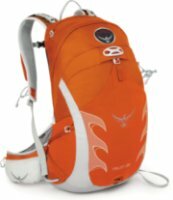 Osprey Quantum - The Osprey Quantum Pack is a daypack that makes me wonder if Osprey has some sort of pocket engineer sitting around thinking of awesome and functional pockets to add to their packs. Maybe engineer isn't the right word. Pocket Jedi Master might be more appropriate. This backpack features a laptop pocket, an internal document sleeve, an MP3 pocket, a front pocket with a mini-organizer, a front stretch mesh pocket, and plenty of extra room in the bag to spare. Gregory Z65 Pack - When you've finished cutting weight from every other part of your equipment list, there's one place left to turn: your backpack. Gregory's Z65 is the second-largest member of the company's lighter-weight "Z" family of backpacks, dropping nearly a pound and a half from the weight of its more deluxe counterpart, the Baltoro 65. The Z65 features a large front panel zipper that allows easy access to all of the packs' contents, as well as a large and well-cushioned lumbar pad that helps transfer the weight of the load to your hips. Osprey Aether 85 - Buy a plane ticket to China, pack up your gear in the Osprey Aether 85 Backpack, and wander into the land of infinite possibilities. Its large storage space, multiple straps, and gear loops enable the Aether to be used for a variety of short to long backpacking trips among rice patties, snow-covered peaks, and cherry-blossom forests. Plus, if you need more space, Osprey's attachable AddOns (sold separately) make the Aether 85 large enough for two-week-long expeditions. Osprey Exos 46 - The 'Exos 46' is the perfect frame pack for active, light pursuits. Designed with Modified Airspeed Suspension with a 3D tensioned, breathable mesh backpanel. Features a highly ventilated and supportive BioStretch™ harness that is mesh covered slotted foam with an adjustable sternum strap, attached whistle and gel pocket. The 6061-T6 aluminum frame is super light yet extremely durable. Removable floating top pocket. Super light 7mm webbing side compression to ensure everything remains in place. Patagonia Atom - Grab your Atom and split. Part courier bag, daypack and carry-all, its teardrop shape provides the support of a daypack by positioning the load behind your shoulder. The single-strap design makes getting to the goods simple: Just spin it around front. The large zippered main pocket has zippered mesh and stretch-woven pockets inside to organize small items. 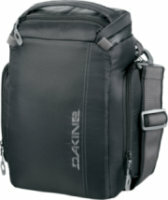 A convenient zippered pocket on the shoulder strap has a soft lining to protect valuables.